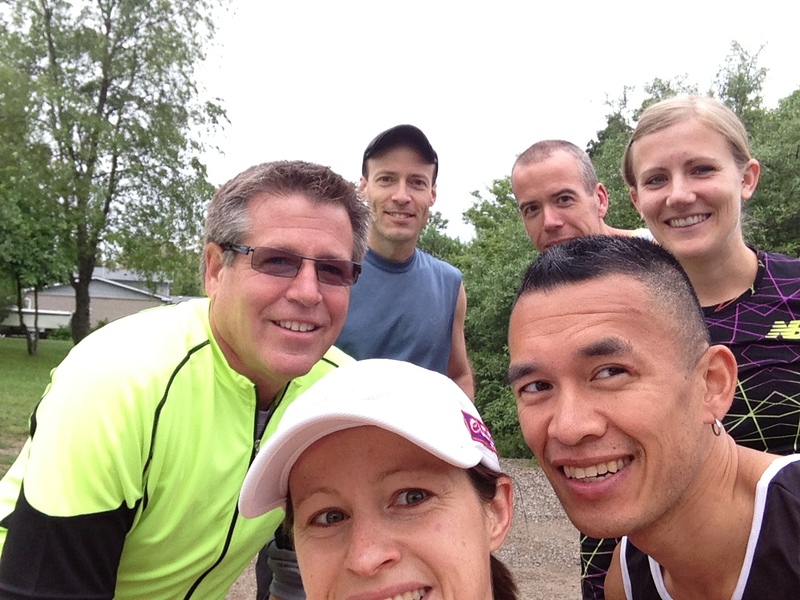 Rachel, Darren, James, Clayton and I out on our long run along the Grand River trails. Coach Rick leading on the bike. 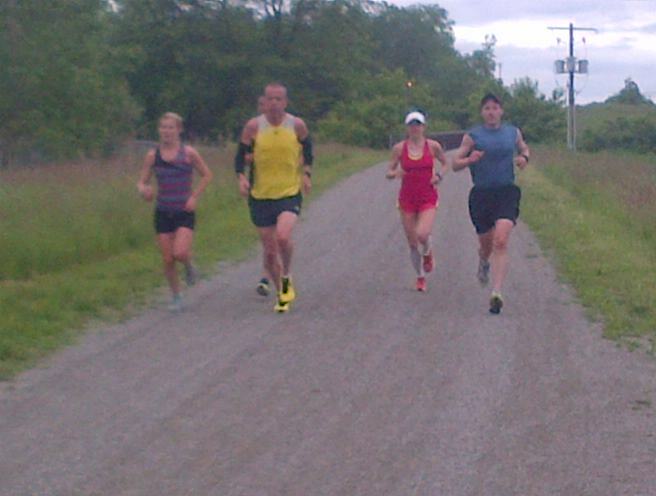 Great tempo going on here! 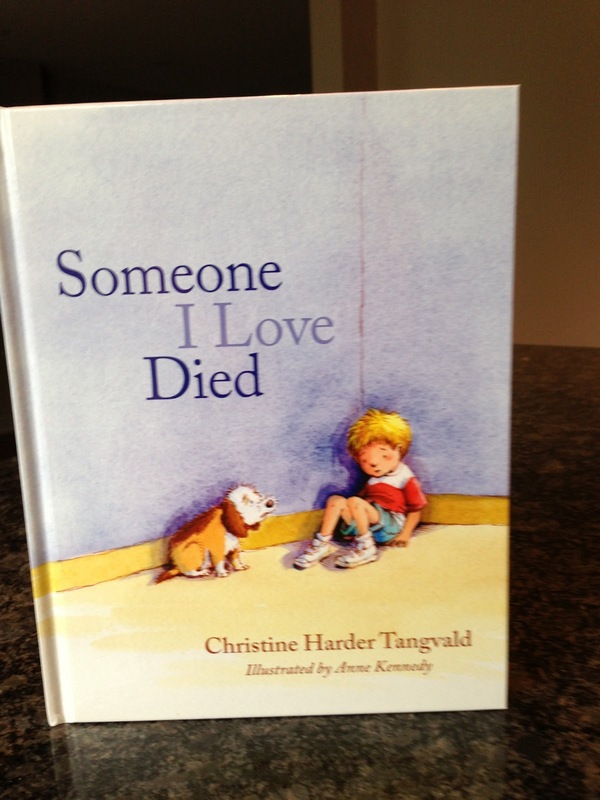 Great book to read with the kids as we continue to mourn Andy’s loss. 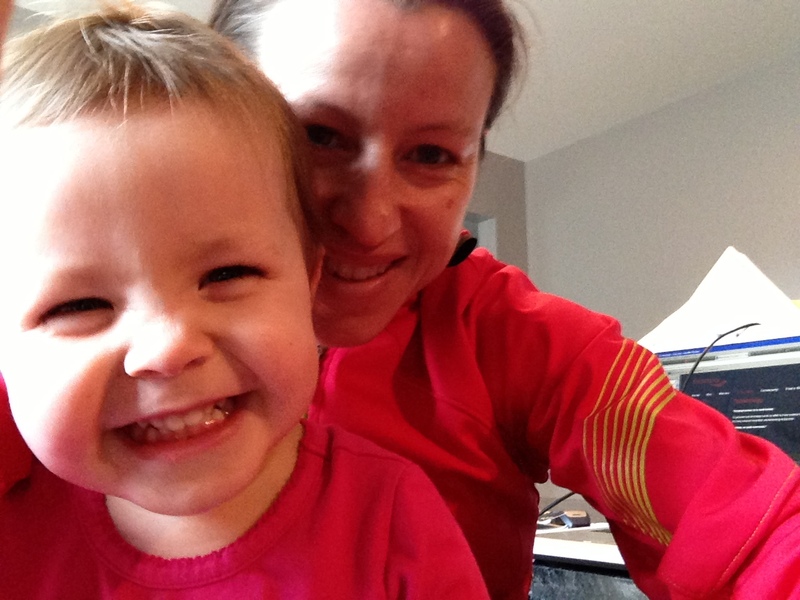 Placing some Saucony and Eload orders with my happy girl. Ready to get this run going! Cheers, Darren! Emend it is, two years in a row! 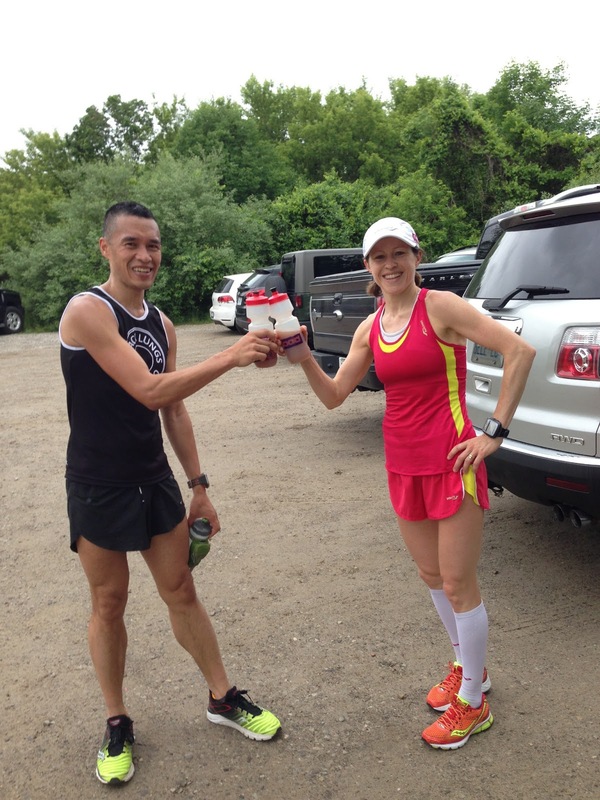 On long run days, particularly in the warmer weather, I often don’t get hungry until late afternoon. And because we usually eat later on the weekend, I make myself a smoothie to get by. 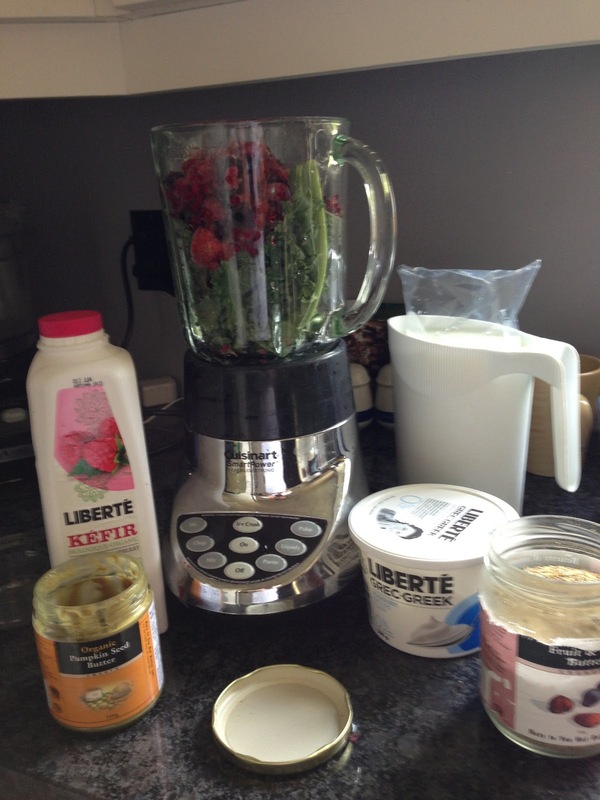 Here’s one with kale, frozen berries, milk, pumpkin seed butter, protein powder, flax/chia/hemp, and Liberte Kefir and plain Greek yogurt. changes to my routine is my weekly physiotherapy and massage treatments. In the past I knew this was something I would need to do at this level and thankfully, two extremely generous people made it happen through sponsorship. pregnancy-related unbalanced pelvis was key. I am so grateful for her! other one contradicting the first. This has never happened. After the long physical stress we get some mental stress. Through the massage therapy we can remove both the stresses instantly. I recommend to go for massage…. Grief is such a process (sending you all lots of positive vibes as you work through your loss). Thank you for the suggestion on the children's book. My Mom passed away not that long ago and this will be good to help our little one. Her older brother has a better understanding of what is going on and we've had a difficult time helping her. I was wondering where I might find the Kefir here in Brantford. I usually make my own but with a 3 year old sometimes there just isn't enough time. I appreciate your sharing who you use for Physio and Registered Massage. My husband is now getting into longer distances/ultra running and I think this kind of proactive care will be something to consider. Perhaps I'll see you on the trails. Happy running.